Contracts with most of the biggest stars on Fox News contain something unusual: A "key man clause" giving them an escape hatch if the company's "key man," CEO Roger Ailes, exited. In July, Ailes resigned under pressure amid sexual harassment allegations. Soon afterward, agents representing some of Fox's hosts started to take advantage of the clause. The key man clause explained 7 p.m. host Greta Van Susteren's sudden exit last week. Others thought about making a similar move. Television industry sources say 3 p.m. newsman Shep Smith also expressed interest in possibly leaving. "He's sniffed around. Wouldn't you, if you had the option?" one of the sources said. This is not necessarily out of loyalty to Ailes. Rather, the existence of Ailes' key man clauses opened a window for Fox hosts, even ones under long-term contracts, to size up the TV news landscape and contemplate new opportunities. Smith decided not to make a move; he is said to be happy at Fox and staying put. In fact, Van Susteren may end up being the only host to defect as a direct result of Ailes' resignation. But the behind-the-scenes machinations show how the key man clauses injected even more uncertainty into the already uncertain post-Ailes era at Fox. Some experts say the existence of the clauses is an example of improper corporate governance by 21st Century Fox. "Ailes was putting his self-interest above the company and giving other people the right to escape their contracts or at least cause substantial renegotiation," said Columbia law professor John C. Coffee Jr., the author of "Gatekeepers: The Professions and Corporate Governance." When asked about the clauses by CNNMoney, Coffee said, "It is quite an extraordinary provision. You wonder, who could have approved it?" A spokesman for 21st Century Fox declined to comment on whether Rupert Murdoch or other top executives knew about the clauses years ago. Fox also declined to comment on whether the 21st Century Fox board's corporate governance committee is now reviewing the matter. 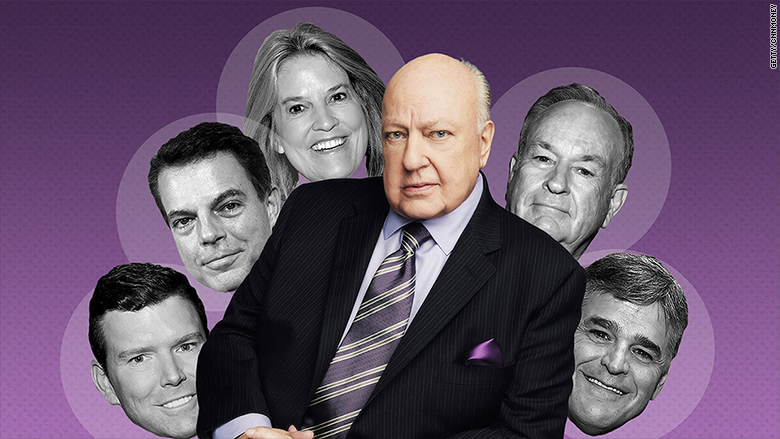 But within Murdochworld, the clauses are now recognized as one of the abnormal ways Ailes exercised power. Ailes absolutely was the key man at Fox News. He was the founding CEO back in 1996 and ran the channel with an iron fist until the harassment scandal erupted in July. His biggest stars with key man clauses included Bill O'Reilly, Sean Hannity, Van Susteren, and Smith. Conceivably any or all of them could have bailed on the network when Ailes resigned -- dealing a potentially crushing blow to Fox's high-rated programming schedule. Some news reports have said that "more than a dozen" Fox personalities have the exit option. A corporate source, however, said the number is lower. So how did the clauses come to be? "Ailes asked for them. He put those in," a longtime Fox News executive said on condition of anonymity. "I think he viewed them as a poison pill, to protect himself in case the Murdoch family ever came after him," the executive said. Two television agents backed up this account, saying that the key man clauses originated with Ailes, not with requests from hosts. As time went on, however, and the existence of the clauses became known inside Fox News, some Fox stars began to seek out the provisions. One of the agents said the clauses became viewed as "loyalty tests" inside Fox. "Roger wanted talent to want the clause. It was about loyalty," the agent said. The clauses were also viewed, more ominously, as a way for Ailes to hurt Fox News if he were ever forced out. Ailes' lawyer declined to comment for this story. So did a spokesperson for Fox News. It is unclear whether the clauses made the Murdochs think twice before pressuring Ailes to step down. But the existence of the clauses leaked out -- first in the Financial Times -- when the Murdochs were deliberating about what to do. The leak was interpreted by some TV executives and agents as a warning to the Murdochs. Nonetheless, the Murdochs moved quickly to replace Ailes. 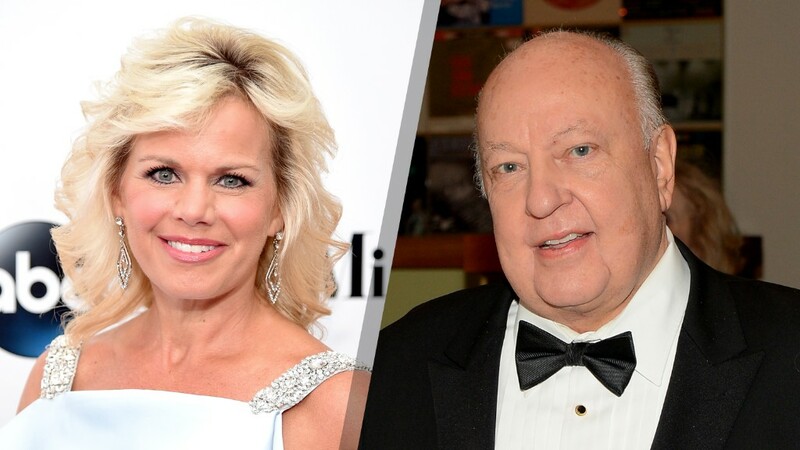 Just two weeks after ex-anchor Gretchen Carlson sued Ailes, he stepped down. Ailes has denied the harassment allegations against him. The bottom line, Coffee said, is that the get-out-of-Fox-free cards primarily benefited Ailes. "It's meant to discourage his termination," Coffee said. "Most places would not allow executives to have those." Van Susteren's clause afforded her a 60 day window, according to her husband, lawyer John Coale. Van Susteren reportedly sought to renegotiate her contract using the clause as leverage. Murdoch rebuffed her, so she used the clause to exit with years left on her contract. Fox has replaced Van Susteren with Brit Hume for the duration of the presidential election season. The network noted that Hume's first week at 7 p.m. outrated Van Susteren's final week.